The cottage is lovely: clean, comfortable and well-supplied. My only negative comment would be that I hadn't realized how close it was to other rental units. 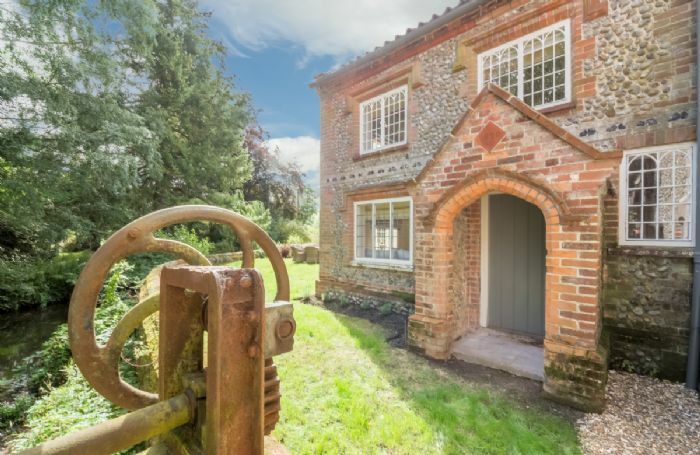 I had thought it was a stand alone cottage. 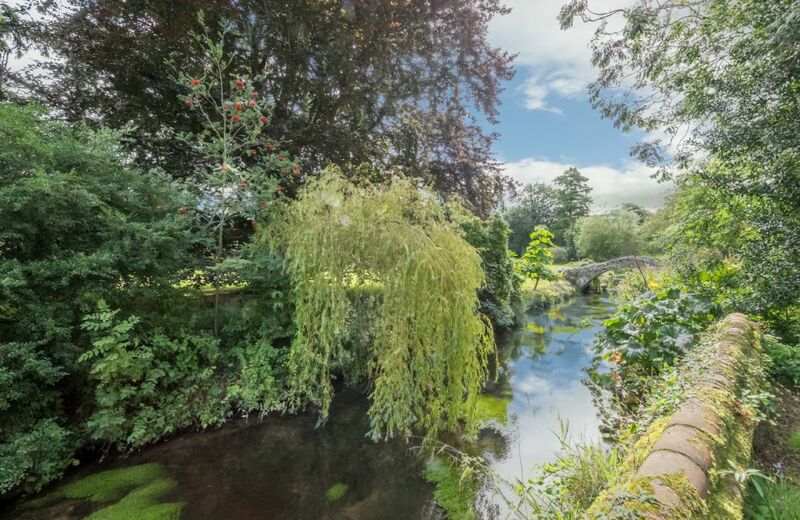 Beautiful property and pretty garden with stream. Very steep stairs needs to be highlighted for elderly guests. 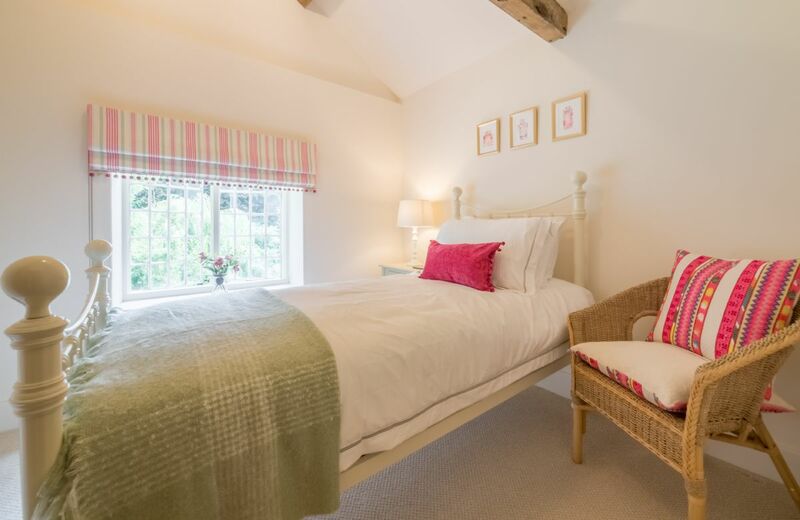 This was a beautiful cottage in a lovely location. We really enjoyed our stay. Overall we felt it was too small for five adults. 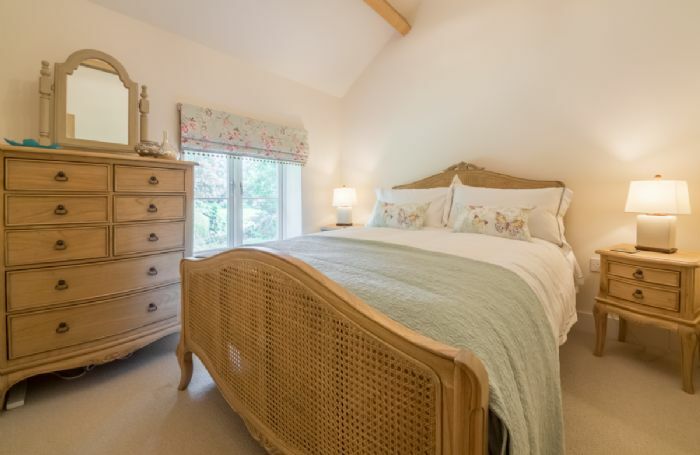 Lovely cottage - well equipped and very comfortable beds. Hamper was excellent - delicious cheese! It was excellent. Beautifully presented and very comfortable. Cosy cottage in excellent location. 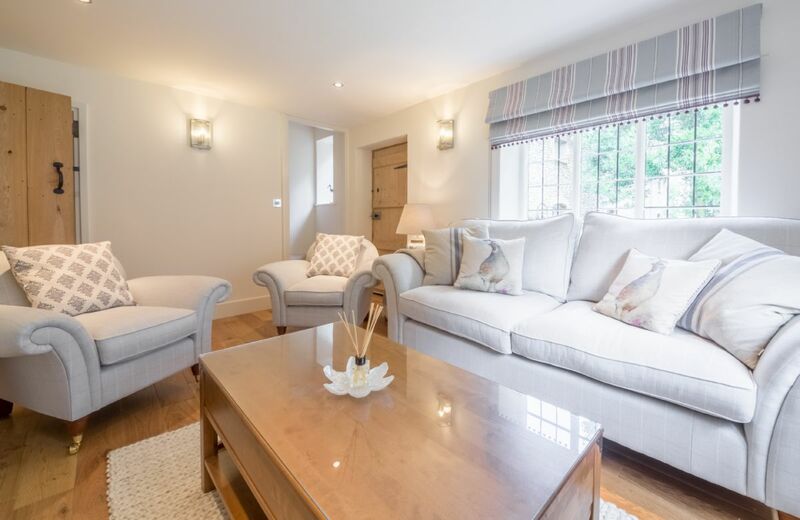 Beautifully appointed and comfortable. 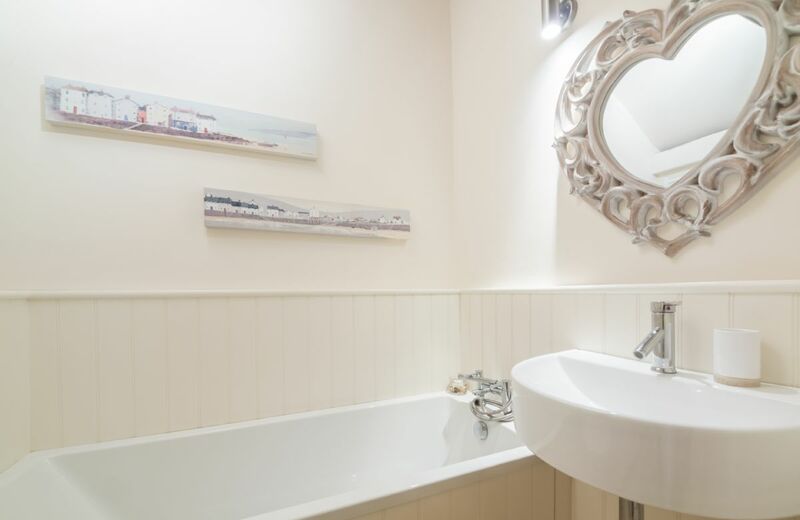 Lovely little cottage, tastefully decorated and very clean. 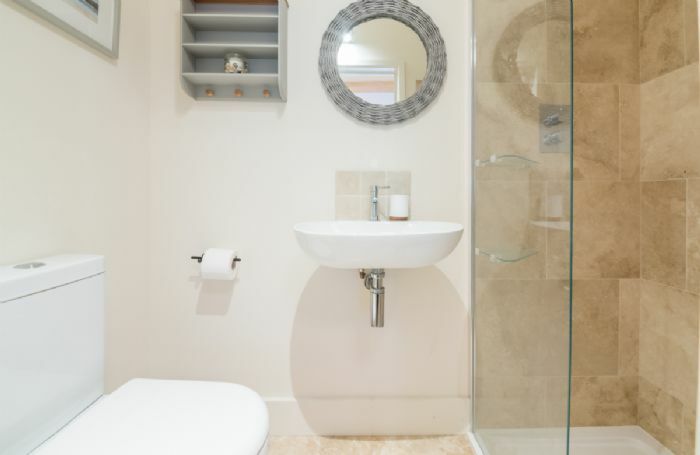 Would have given it excellent except the shower in the ensuite is a problem, the water leaks all over the floor - tray too shallow and screen too small so water squirts on to walls. Also some kitchen supplies which were mentioned as being included were missing (dishwasher tabs, washing powder and kitchen paper). I didn't bring them because the cottage info said they would be there. This exquisite Grade II listed flint cottage is situated in an idyllic location on the banks of the River Glaven in Letheringsett. 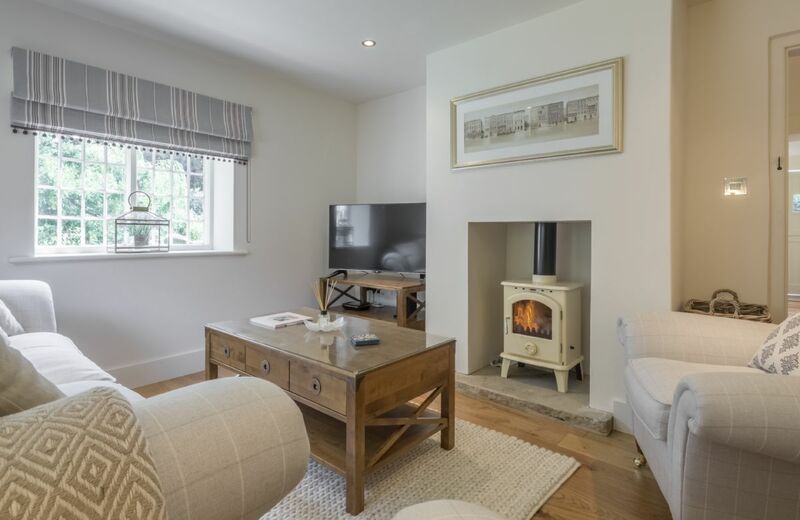 Dating back to 1870, the cottage effortlessly blends character with contemporary flair and provides a wonderfully relaxing retreat for a couple, friends or small family. 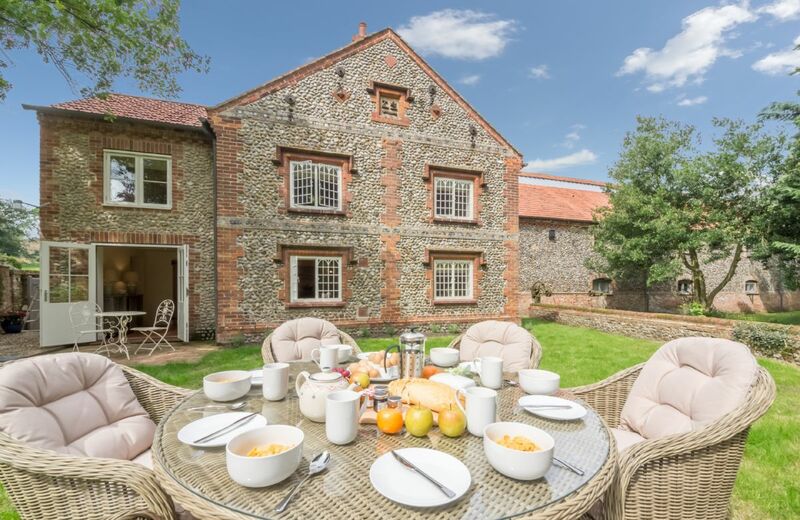 Glaven Cottage is tucked away at the rear of The Maltings, a prestigious gated development, which dates back to the 17th century and was once the old Letheringsett Brewery Mill. 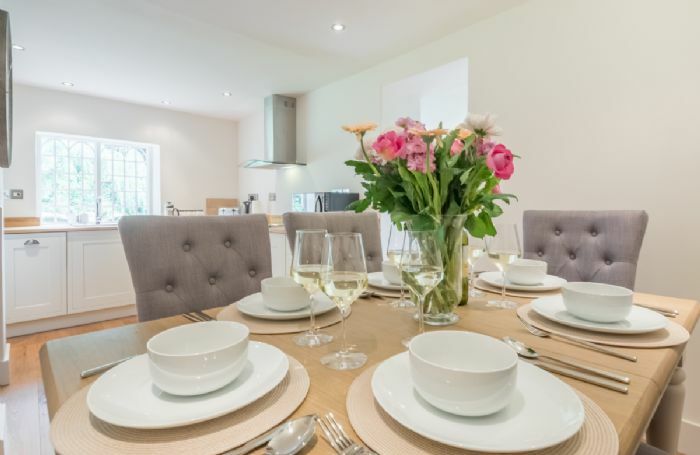 The ground floor features a light and airy entrance hall/garden room which leads into the dining kitchen followed by the pretty sitting room. On the first floor are three beautifully decorated bedrooms, all with stunning river views. 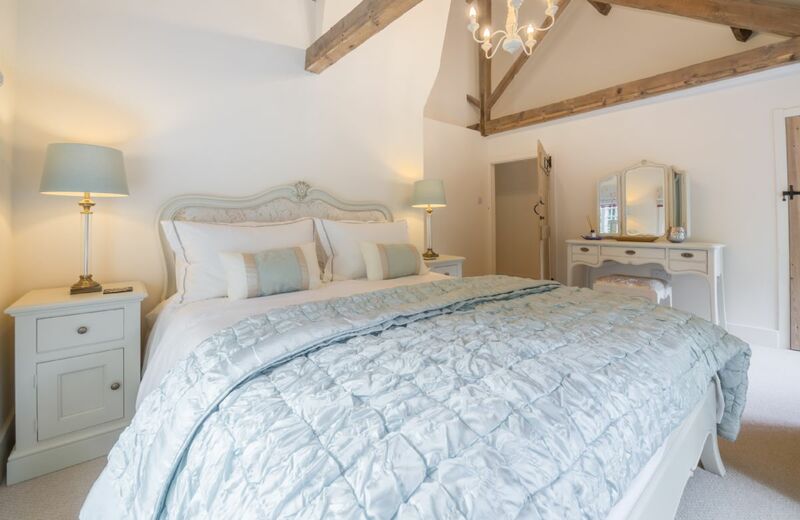 The master king size bedroom boasts an en-suite shower room, whilst the king size double bedroom and charming single bedroom share the modern family bathroom. 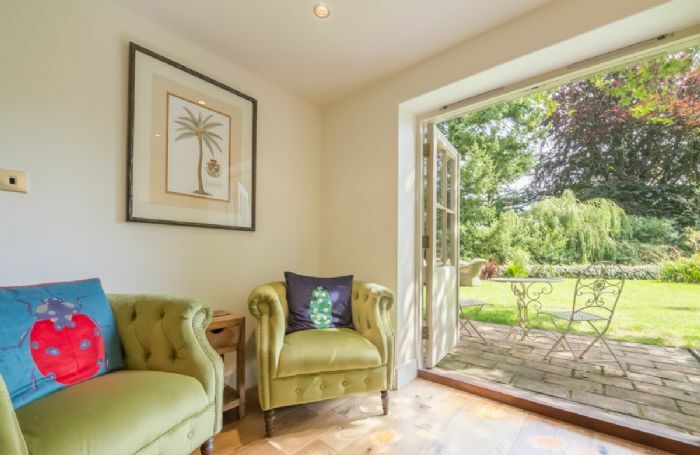 The garden is a real highlight with its paved sun terrace and lawn from where you can sit and enjoy picturesque riverside views or picnic overlooking the babbling stream. 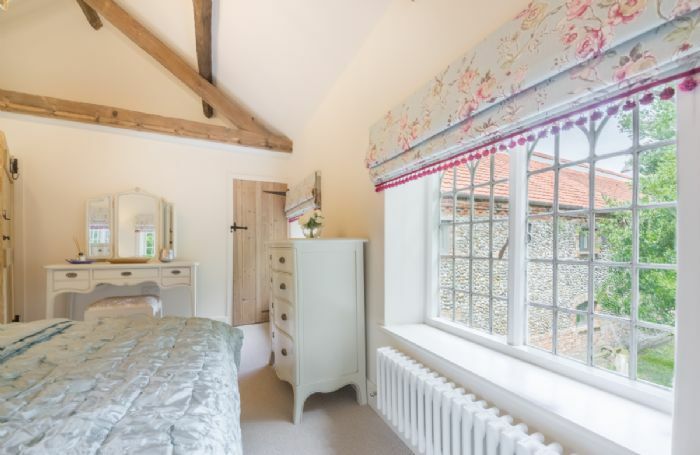 Letheringsett is located on the banks of the Glaven Valley and listed in 'Hidden Places of East Anglia' as "A truly charming place in the most delightful of settings". The village is famous for its working mill which is the last remaining fully-working watermill in Norfolk and is a great base for enjoying easy access to both coastal and rural North Norfolk. On the door step is a good pub (two minutes’ walk from the cottage), while a popular farm shop with deli and café/restaurant is just over a mile away. 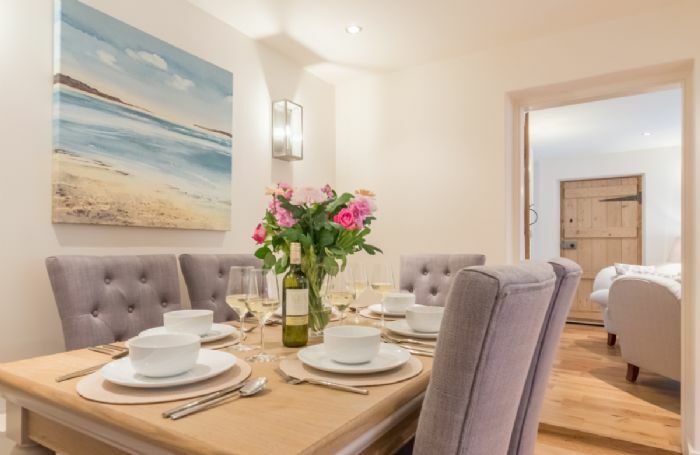 It is just a short drive to the North Norfolk coast with its plethora of sandy beaches and the bustling Georgian market town of Holt is only a mile down the road. Two double bedrooms, one with en-suite, a single bedroom and family bathroom. 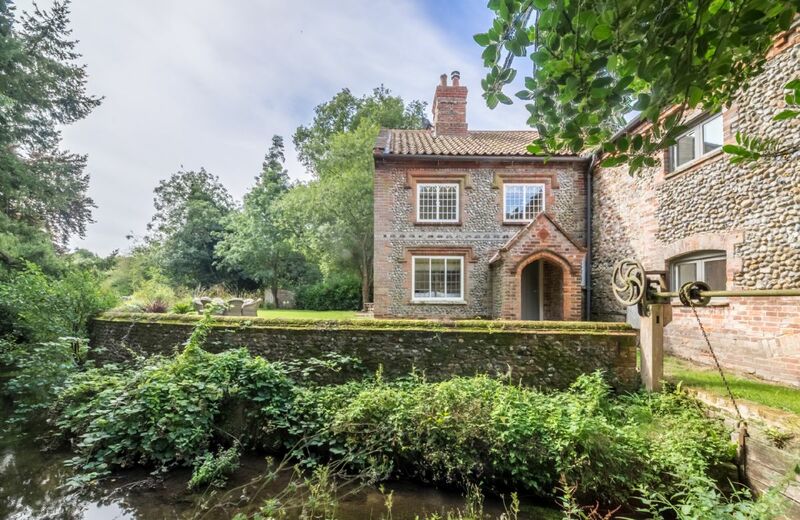 Views to the River Glaven. Well established garden with lawn and open stream. French doors open on to a paved sun terrace. Children and infants welcome (please note there is an open stream in the garden). 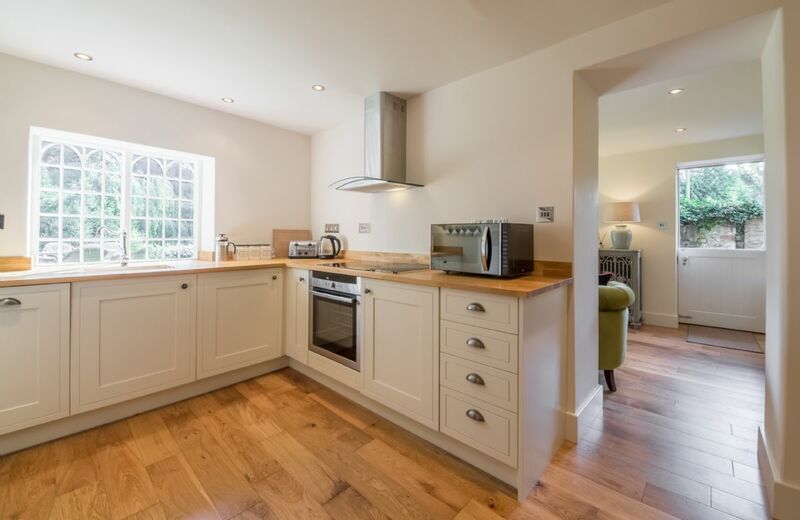 Oak floors, highly decorative original windows, exposed beams and vaulted ceilings. Electric oven and induction hob, microwave, dishwasher and fridge/freezer. Bistro set table and chairs. 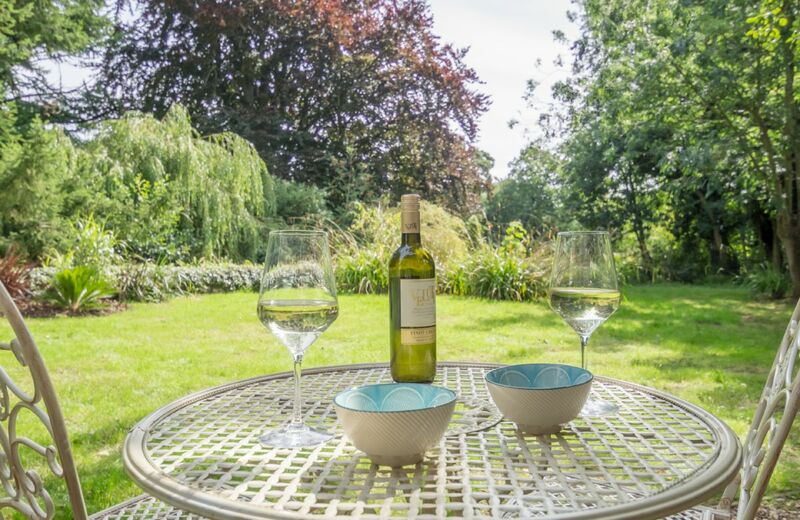 Letheringsett boasts the renowned The King’s Head pub which serves good food and even has barbecues throughout the summer months. 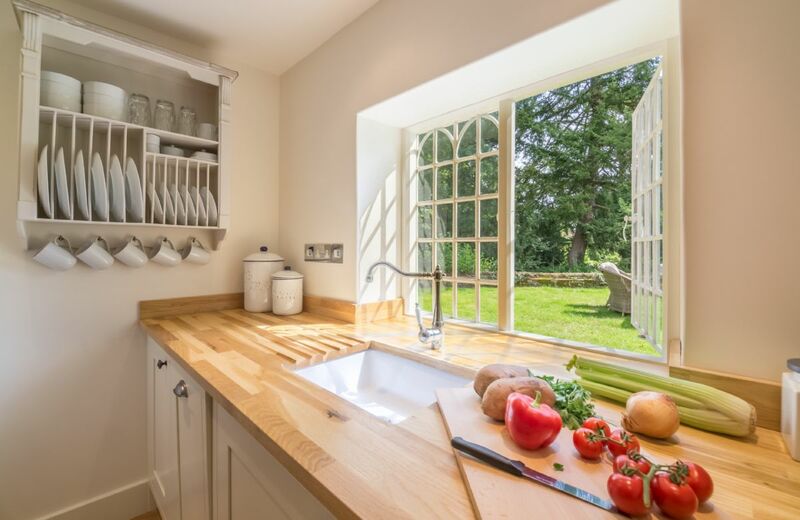 There also is the ever-popular Back To The Garden deli/café/farm shop to try, where you can enjoy a hearty breakfast or lunch before heading out for the day. From Letheringsett it is just a 15 minute brisk uphill walk into the attractive Georgian market town of Holt, where you will find a wealth of excellent shops, pubs and restaurants. Leathersett Watermill, Norfolk's only working water powered flour mill, is open to the public all year round. Only a short drive away is Blakeney and Morston where you can book a boat trip to see the seals. There is fabulous birdwatching and walking at Cley-next-the-Sea and of course the ever-popular sandy beaches at Holkham and Wells-next-the-Sea.